With the Lent season already upon us, many of us are choosing something to give up until Easter in the middle of April. For a lot of us, that thing is sugar. 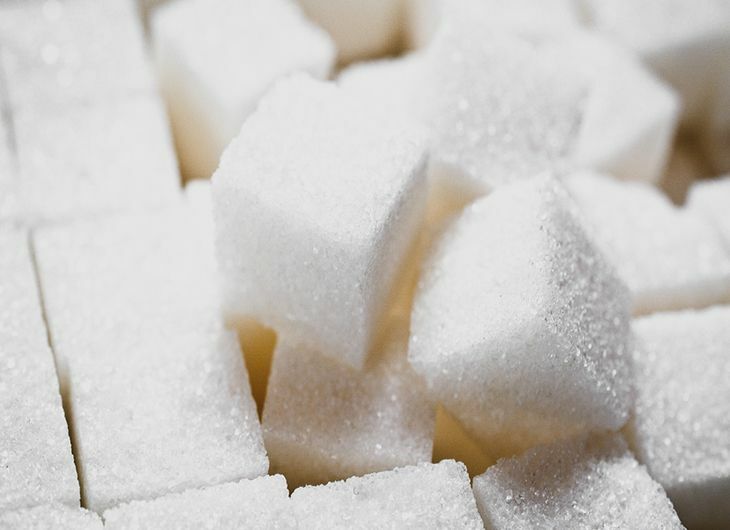 We’ve talked a lot in previous blogs about the many, many things in our daily lives which contain sugar, so giving it up can look daunting at first glance. But believe us when we say that it can be done, and it’s so much more rewarding when you do! We won’t go into exhaustive detail, but the short answer is a lot to do with the bacteria in your mouth. Sugar is one of the foods that the bad bacteria actively feeds on, producing acids that eat away at your tooth enamel, and can seriously damage the health of your gums. Not an ideal scenario! There are varying opinions on whether sugar is actually addictive in the true, clinical sense, but one thing’s for sure; we like it. We like it a lot. And it pops up in everything, from sweets to sauces to a ready-meal lasagne (yes, really!). So all that means that giving up on sugar isn’t so much about cutting it out entirely – which would be the most difficult option – so much as it’s simply about managing your current intake. The most obvious place to start is with your diet. A quick Google will reveal lots of sugar alternatives on the market, but it’s often pretty tricky to work out actually how healthy they are as alternatives. One way or another, most of the time it’ll boil down to having to take someone’s word for it. An easier way to do it is to look to simple, natural alternatives. Fruit has lots of naturally occurring sugars (strawberries being a good example), but they don’t have quite the same negative impact that refined sugars do. Apples, pears and raspberries can all give you a kick of sweetness, and they’ve got added nutrients and fibre to help balance everything out. What’s not to love? Then there’s dairy. Cheese, yoghurt and milk all contain calcium and phosphates that strengthen bones and teeth. They’re also rich in protein to help repair muscle tissue, and they actively neutralise the harmful acids produced by the bad bacteria in your mouth – so much so that some dentists recommend a cube of cheese to finish every meal. Eating smaller portions of your normal meals is more effective than low-fat diets, which can sometimes supplement their sugar elements with other equally unhealthy ingredients instead. As with many things, it’s easier to do if you’re in it together. If you can convince a friend or family member to give it up for a month or so with you, you might find it an even more achievable goal. The key is not to make dramatic, sweeping lifestyle changes, as they’ll rarely last. Instead change your life in little ways, one at a time, and set yourself little goals along the way. In the end, you might find it easier than you thought! At AP Smilecare, we’re always here to help. We provide a range of treatments to help transform your smile, like our smile makeover treatment. Pop in to our dental clinic in Blackburn to have a chat to one of our friendly experts, or call us today on 01254 297 000.